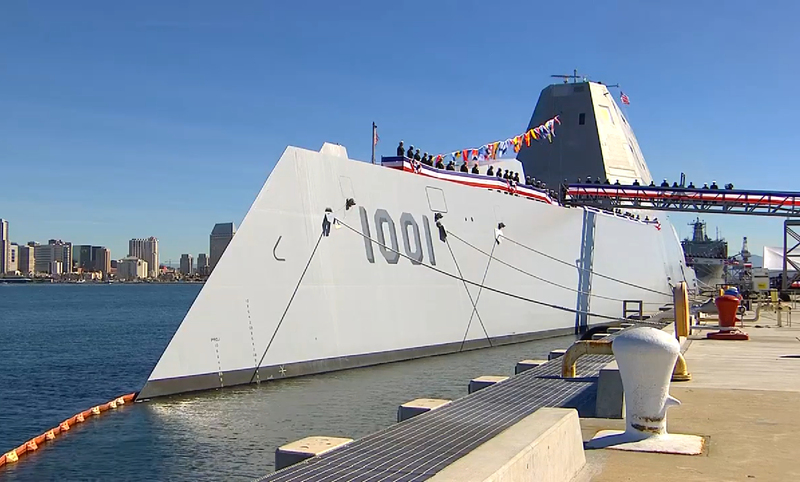 The U.S. Navy commissioned its newest destroyer, USS Michael Monsoor (DDG-1001), Saturday, January 26 during a 10 a.m. (PST) ceremony at Naval Air Station (NAS) North Island, San Diego, California, where the ship will be homeported. 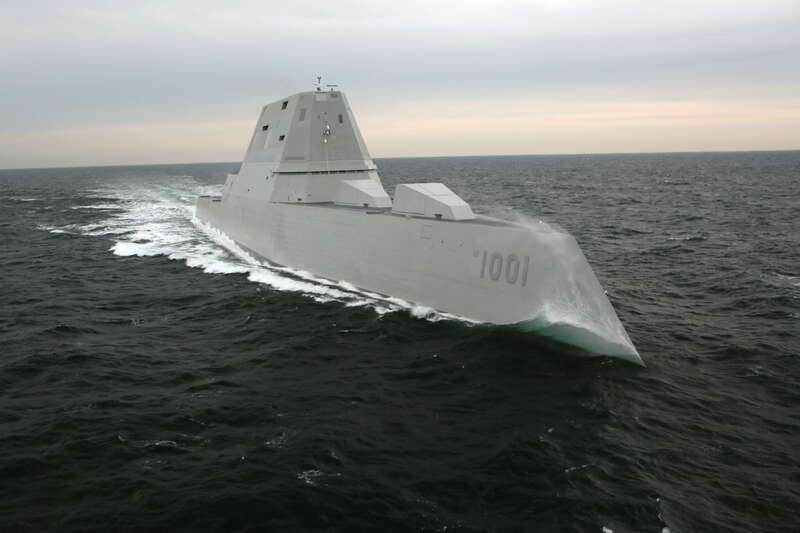 The second ship in the Zumwalt-class of destroyers, DDG-1001 is named in honor of Medal of Honor recipient Navy Petty Officer 2nd Class (SEAL) Michael A. Monsoor, who was posthumously awarded the Medal of Honor for his heroic actions in Ramadi, Iraq, September 29, 2006. Scott Peters, U.S. Representative from California’s 52nd District, delivered the commissioning ceremony’s principal address. Sally Monsoor, Petty Officer Monsoor’s mother, served as the ship’s sponsor. The ceremony was highlighted by a time-honored Navy tradition when Mrs. Monsoor gives the first order to «man our ship and bring her to life»! «USS Michael Monsoor is one of the most capable warfighting assets our nation has to offer», said Secretary of the Navy Richard V. Spencer. «This ship will provide independent forward presence and deterrence for decades to come and I am confident the crew will operate this vessel with the level of expertise, courage, and strength needed to overcome any challenge». On September 29, 2006, in Ar Ramadi, Iraq, Monsoor was part of a sniper overwatch security position with two other SEALs and several Iraqi Army soldiers when an insurgent closed in and threw a fragmentation grenade into the position. The grenade hit Monsoor in the chest before falling to the ground. Positioned next to the single exit, Monsoor was the only one who could have escaped harm. Instead he dropped onto the grenade, smothering it to protect his teammates. The grenade detonated as he came down on top of it, inflicting a mortal wound. Monsoor’s actions saved the lives of his two teammates and the accompanying Iraqi soldiers. His Medal of Honor citation reads, «by his undaunted courage, fighting spirit and unwavering devotion to duty in the face of certain death, Petty Officer Monsoor gallantly gave his life for his country, thereby reflecting great credit upon himself and upholding the highest traditions of the United States Naval Service». The future USS Michael Monsoor (DDG-1001) includes new technologies and will serve as a multi-mission platform capable of operating as an integral part of naval, joint or combined maritime forces. The Zumwalt-class fields a considerably larger flight deck and has capacity for two MH-60R and three Vertical Take-off and landing tactical Unmanned Air Vehicles (VTUAVs) to execute a wider array of surface, aviation, and undersea missions that deliver more manpower, firepower, and computing power to the fight. The future USS Michael Monsoor’s Vertical Launch System (VLS) features cells physically larger than similar cells on today’s ships, allowing this class to fire larger and more advanced land and anti-ship missiles in the future.